I know Easter is six weeks away but maybe because today is the first day of Lent or maybe because I'm ready for spring ...............I have already been thinking ahead. Easter is the BEST day because we celebrate Jesus rising from the dead as our Saviour! Honestly - I hope we celebrate that every day - but it's a wonderful day to stop and remember just what a miracle that was and that we have a God who is NOT DEAD!!!! Easter is special to me because 2 years ago that was the first time I was able to take Harper out in public. We had to keep her at home for 3-4 months so finally on Easter I could dress her up and take her to church. I will never forget that day. And this year Hollis will be about 5 or 6 weeks old and as long as she is healthy - I'm planning for our whole family to go to church that day! 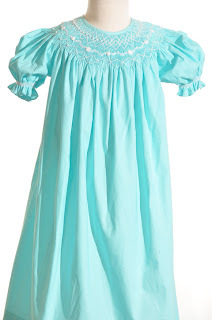 What a neat thing that both girls will have gone to church on Easter for the first time! 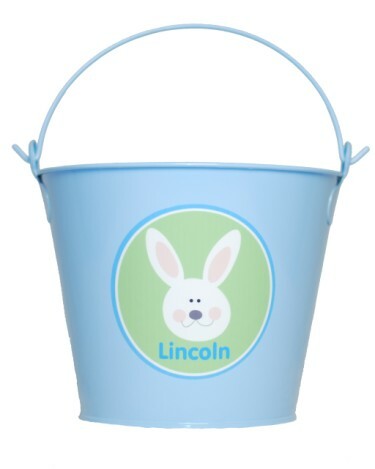 And I also have something fun..................my good friend Stephanie makes all kinds of fun personalized stuff and she has cute Easter pails she is making! And she is letting me give one away! So come over to www.kellyskornerreviews.blogspot.com and leave me a comment and I'll pick a winner this Friday. (She is also giving away a really neat personalized cup!) Her website is www.ifyousaysewgifts.com.